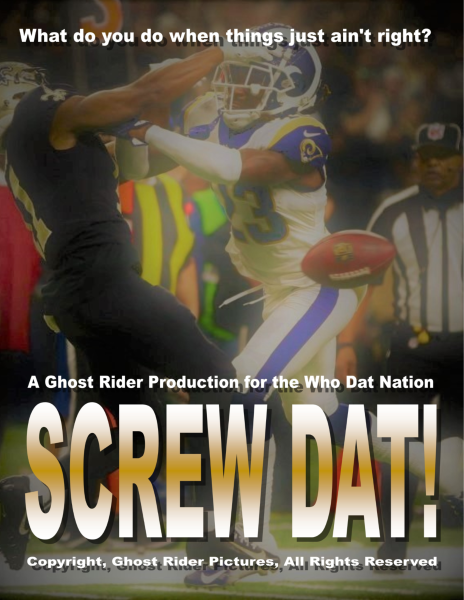 A Film from Ghost Rider Pictures and Director Steven Scaffidi for the Who Dat Nation. witnessed by millions with no justice in sight…and this wasn’t the first screwjob! ​​​​ On Sunday, January 20, 2019, the greatest crime in the history of sports took place in front of 73,028 fans in the Mercedes-Benz Superdome and 44 million more across America. With 1:49 left to play in the NFC Championship game where the New Orleans Saints faced the Los Angeles Rams, the score was tied 20-20 with the Saints facing a third-and-10 from the Rams' 13-yard line. That’s when Drew Brees, future Hall of Fame quarterback of the Saints, dropped back and threw a pass to Tommy Lee Lewis and the unthinkable happened. Well before the ball arrived at its destination, Rams defensive back Nickell Robey-Coleman laid a hit on Lewis that was obvious pass interference. As a matter of fact, not only did the thousands of fans in the dome see the interference but so did millions of people in America from coast to coast. Unless you were blind as a bat, or blinded by a 32 oz. beer in your face, you couldn’t miss the interference plus the helmet to helmet hit on Lewis which surely would draw a flag in a league now dedicated to protecting the safety of players. Not one person, young or old, male or female, sports fanatic or not, could miss that call since replay after replay confirmed the obvious...Pass Interference plus Personal Foul for Helmet to Helmet hit. Unfortunately, justice would not be served on that day, which is destined to live in infamy for the Who Dat Nation, as the seven officials on the field ruled it as simply an incomplete pass and insisted that the teams play on. Despite the protests of Saints Head Coach Sean Payton, the entire bench of New Orleans players, the waterboy, ballboy, sideline security guards, and 73,028 screaming fans, the best referees the NFL had to offer saw nothing that would have them throw the flag and give the Saints a first down and, no doubt, the game and a ticket to the Super Bowl. How in the world could the top officials in the NFL blow a call of this magnitude? Why did Side Judge Gary Cavaletto, who was only 8 yards away from the hit, empathically call the pass incomplete? More importantly, why did Down Judge Patrick Turner initially reach for his flag, then hesitate before confirming Cavaletto’s call, despite the fact that he had a birds eye view from only 7 yards away? And why oh why did Referee Bill Vinovich stand there and do nothing about the crime, and later say he didn’t see it, when video and photographic evidence show otherwise? NFL Commissioner Roger Goodell, with his $30+ million dollar a year salary, said it was human error that the officials, all from the Los Angeles area, blew the call. The VP of NFL officials even called Sean Payton after the game to say, “We messed it up.” However, those lame excuses did nothing to change the course of the greatest “screwjob” ever witnessed by millions, all at the same time. Now, the Who Dat Nation wants answers, and over 5 million people are disgusted with the good for nothing commissioner, the referees, and everyone and anyone associated with the infamous “No Call”. This film will go beyond the stories reported in the news and confront the culprits face-to-face to get real answers. “Whoops” is not an excuse, where in the real world, airplane pilots, doctors, police officers, and school teachers would lose their jobs, and even go to jail for a screw up of such magnitude that cost the local economy and the little guy dearly while the millionaires still made their millions. This journey in search of the truth won’t be easy, but we all know that nothing worthwhile ever comes easy. 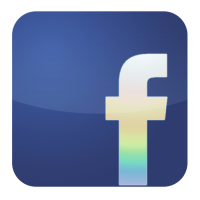 ​America loves stories about the underdog overcoming adversity despite the odds against him. David slew Goliath, Rocky defeated Apollo Creed, and now the Who Dat Nation will overcome the powerful gatekeepers who are hiding the real story about the day when the referees stole the Super Bowl from our Saints. So, with the head of officiating and the commissioner admitting that a flag should have been thrown, and the NFL owners overwhelmingly changing the rules because of one “no call”, what really happened? Human error? Intimidation? Fraud? Which is it? What’s the real story? The fans have a right to know! Billy Bob and Cecil B. talk about the story! ​​​​ Filmmaker Steven Scaffidi is born and raised in New Orleans and has a passion for football. He’s also a loyal member of the Who Dat Nation. Steve’s known for telling uplifting stories of the underdog and producing projects that have gained national and international attention. In 2000, his inspiring documentary, "The People's Story" ,was a finalast for the Academy Awards. In 2006, following Hurricane Katrina, he took a local survivor to the White House to send a message to the President of the United States in the award-winning documentary, “Forgotten On the Bayou”. In 2010, following the Saints’ victory in the Super Bowl, he wrote and produced, “Ain’t Dat Super!”, and took it to the Mahalia Jackson Theatre where it played live on stage to over 5,000 people. The stageplay had the largest opening of any local production in the history of Louisiana theater. Now, Steven wants to take his cameras into the belly of the beast to get answers from the officials who cost the Saints the Super Bowl and the Commissioner of the NFL who has had his thumb down on the Who Dat Nation for years.